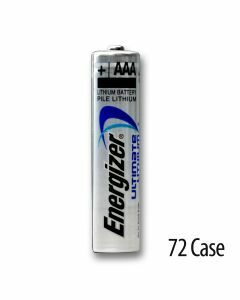 The Energizer’s Ultimate lithium batteries are absolutely reliable, all-powerful and authentic. Medic Batteries offers AA and AAA Ultimate lithium batteries. Each Energizer lithium AAA battery is the perfect choice for high-drain devices like cameras and medical devices. Energizer is among the most respected brands in the U.S.. Ultimate lithium batteries are small, lightweight and compact, but have five times more power than regular alkaline batteries. All Energizer lithium AAA battery packs are guaranteed to be fresh. All of our ultimate lithium batteries ship free!